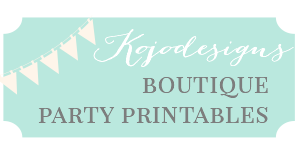 Last week, we shared Keadryn’s Garden Tea Party. 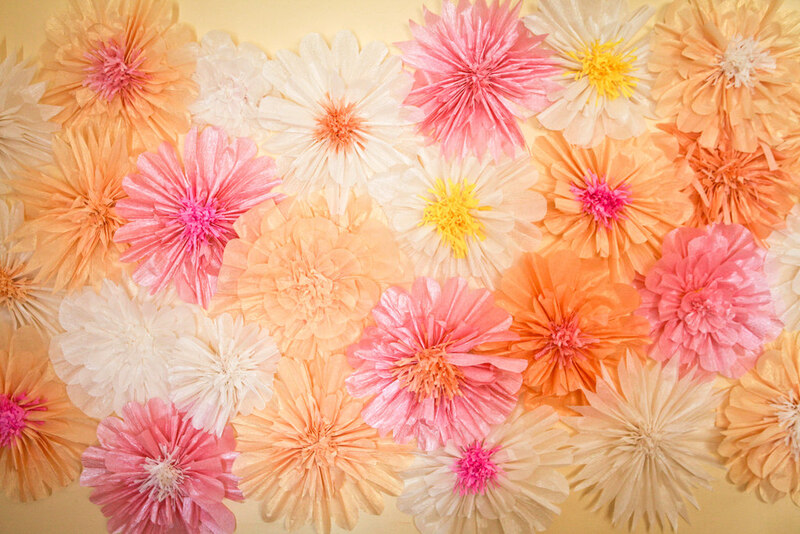 Since the wall-of-giant-crepe-paper-flowers-backdrop was the star of the show (and since you probably need a few of these as decor, or a party backdrop, or even a gift wrap accessory! 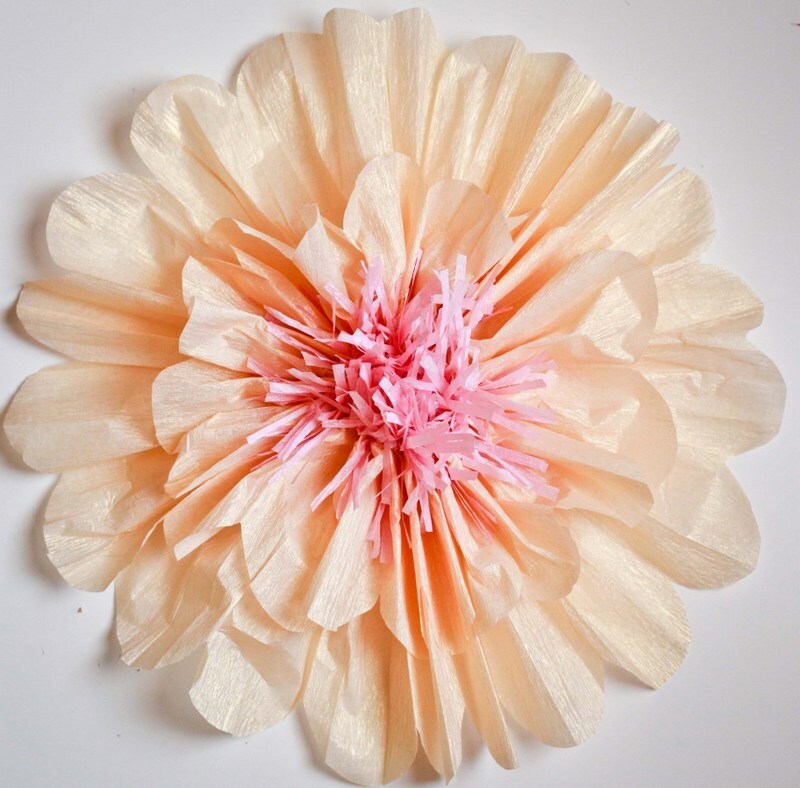 ), we thought we’d share the paper flower how to as well. 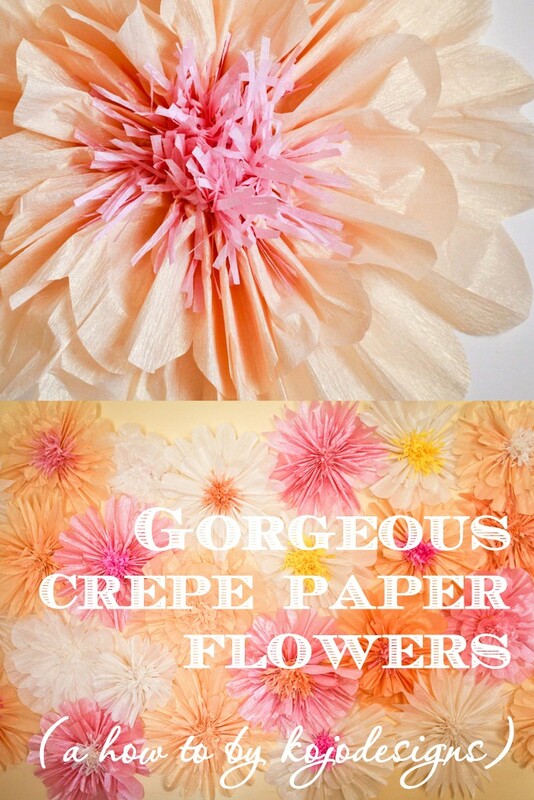 *Tissue paper isn’t readily available here and is much more expensive than crepe paper, so I use crepe paper. 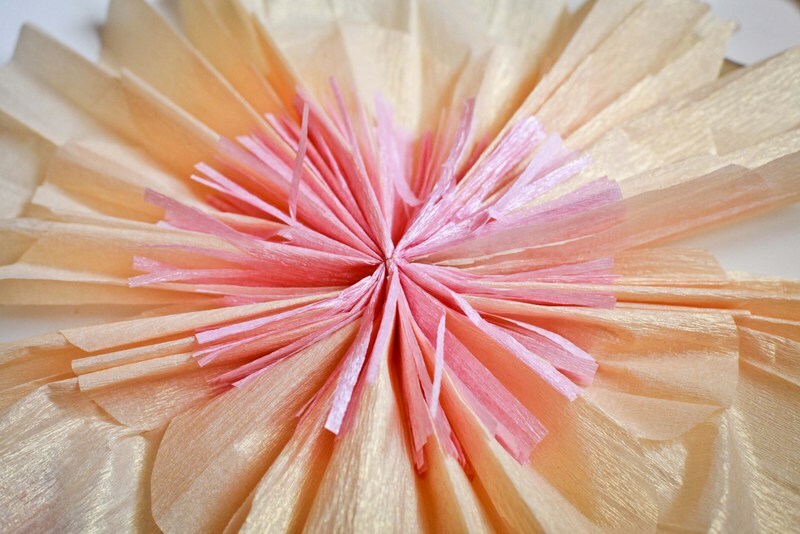 The differences I have seen are that crepe paper has more texture, but is trickier to fluff. 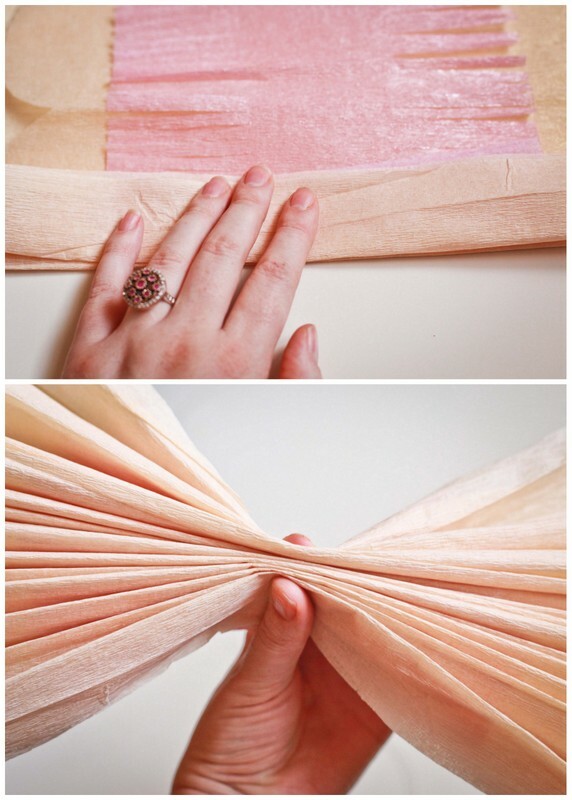 Also, crepe paper comes in longer rolls, so if you use tissue paper for this project you will have to make two or three folded accordion pieces and combine them. 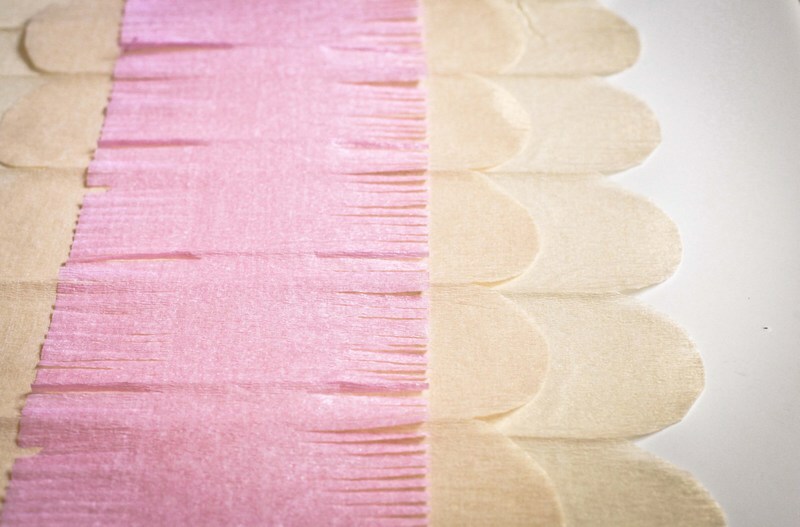 EDITED TO ADD- We tried the tissue paper version- details are here! 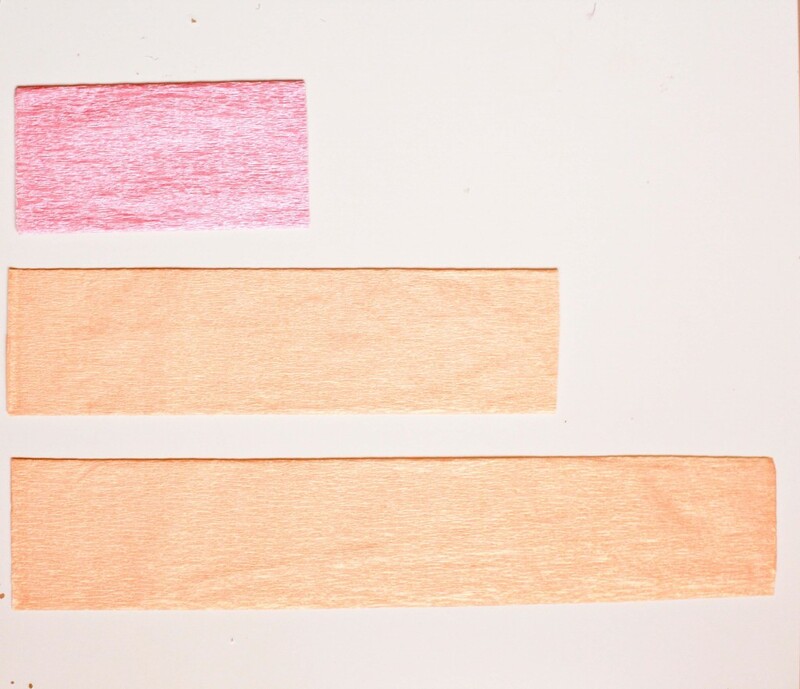 Cut crepe paper into three lengths, if you want a contrasting middle, the smallest size should be in a contrasting color. Round the edges of the large and medium piece. 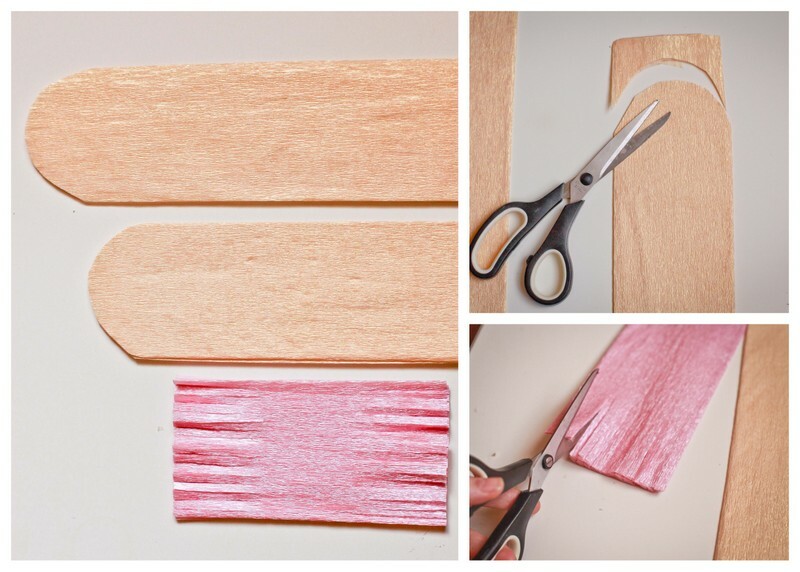 Cut fringe on the smallest piece. 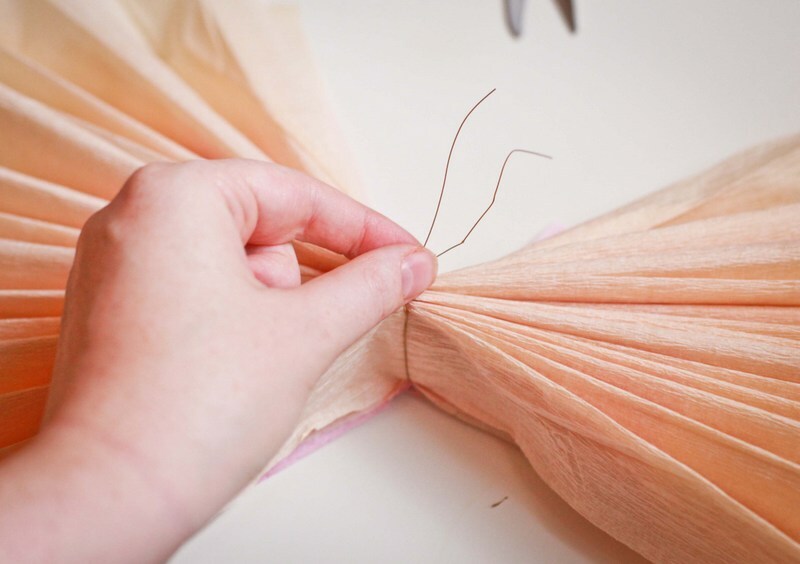 Open each piece and stack them largest to smallest, centering them evenly. Tie the center with a wire. 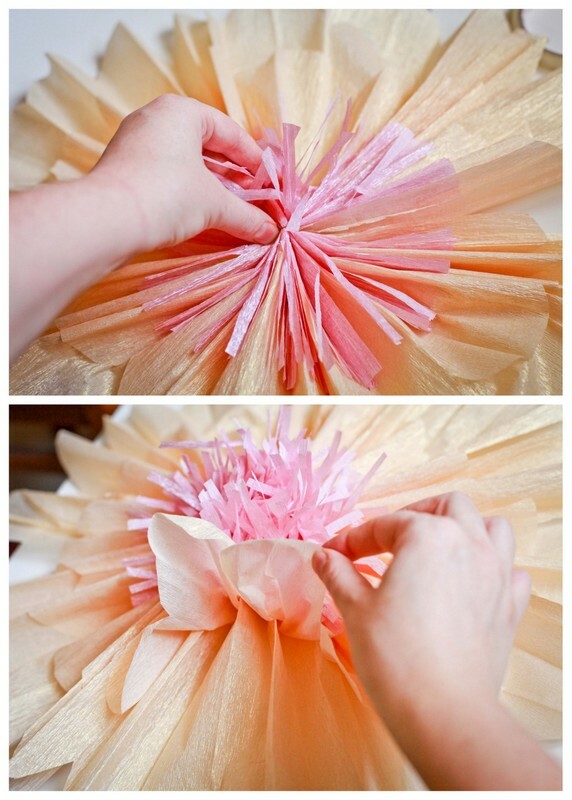 Fluff the separate pieces, doing the center piece first. You’re done! Hang on the wall with tape. And clustered together, they make one seriously gorgeous backdrop as well. Hey Jen- the longest section is the length of a roll of crepe paper, and then I estimated the middle and small sizes off of that. And yes, the crepe paper is folded into an accordion. Hope that helps! The backdrop is beautiful! 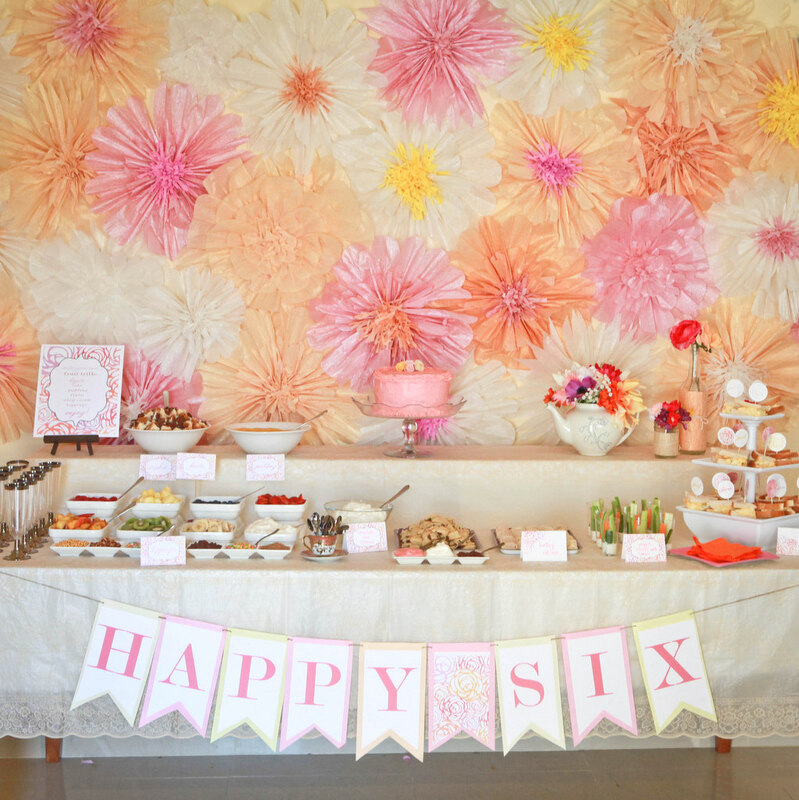 I was thinking about doing something like this for my daughter’s bday…Can you please tell me what kind of tape you used to stick the flowers to the wall? Hey Stacy, just texted my sister (who made the flower wall)- she used 3M tape to secure the flowers to the wall. She said the flowers held up well and then came off easily. 🙂 Hope that helps! Hey Linda, the rolls of crepe paper are all over the place where we live (overseas), but harder to find in the States. Sometimes Cost Plus World Market has some. But when we lived in the States, we ordered it online. Hope that helps!